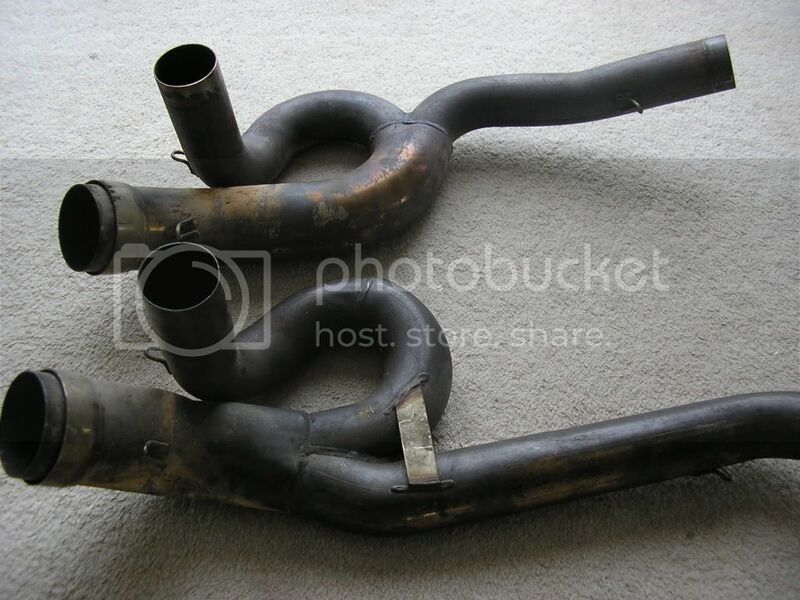 just too let all you guys know i have had the first exhaust modified...i only picked it up last night and handed it stright to a forum member to fit and test so no pictures yet. price for pipe mod will be £65 + £40 surcharge on your pipes...this way it spurs you on too get the modified pipe fitted quicker and return your pipe to me(for the refund of the surcharge) ..this way your bike is off the road for the minimum amount of time .your looking at an hours work to complete both sidepanels off and belly pan ,panel between the rads,rear can and link pipe off, undo front header bolts..no need to loosen the rads(well i didnt)..this should then allow you to remove the collector pipe..then assemble in reverse order..remembering to apply some exhaust paste to the front header pipe where it bolts back to the head. Last edited by redratbike; October 17th, 2009 at 02:49 AM. Very interested in mod for a 2000 mille, let us know when you've sorted it please? Hi Deej...is it a 2000 mille or an an 01-03 model on a 2000 plate?..need to ask as the exhaust are different and at the moment only doing the 01-03 pipes. Last edited by redratbike; October 17th, 2009 at 03:16 AM. Are they.......? 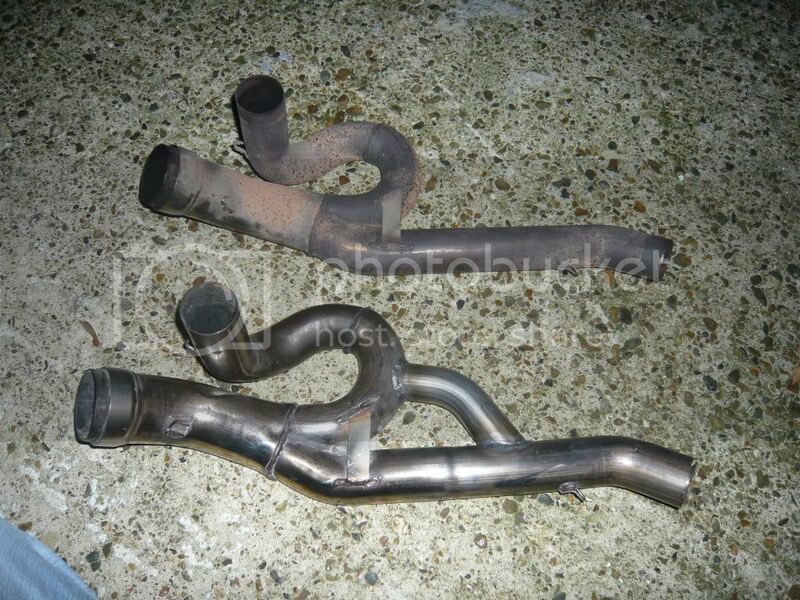 In what way are the headers different redratbike? Last edited by redratbike; October 17th, 2009 at 04:04 AM. Now I get you squire, as in the shape slightly altered. They are still fully interchangeable between years. any pics of the modified collector? sorry mate couldn't resist!! if you google mhp collector mod you'll get a hit I'm sure. I wouldn't think that you would get much improvement with the early collector been the rear & front pipes join so close together & would be balancing themselves pretty well as it is , the other thing to watch is the location of the link pipe to the side of the Oil tank & hoses as things get bloody hot & heating these things up more than just engine temp may course problems . Gents check out the pics top one is 98-00 bottom 01-03. I believe it was when they went for the bigger valve heads they changed the collector shape . ah ha, thanks deacs, i wasn't really paying attention was i? i've been away and borrow a friends laptop for a few mins so speed read the posts, doh. Last edited by redratbike; October 27th, 2009 at 01:44 PM. 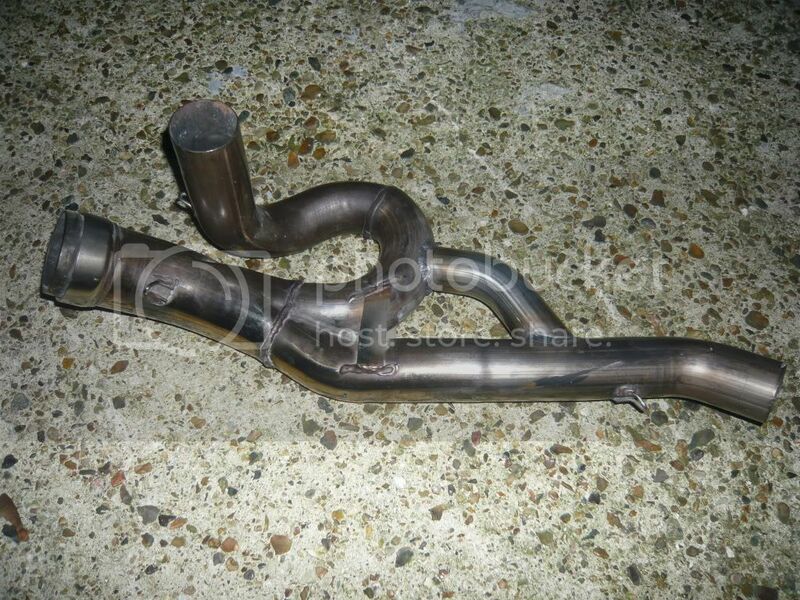 i am still interested, would the modified pipes be cleaned like the one in the pics? since i'm not that far away is there any chance of riding up and fitting it at yours so i could just leave my pipe there or would it be best if i took it home to fit? Side by side the early system looks better, theyve already kinda got this mod built in. I wonder if Aprilia changed them for a good reason like performance or if it is like the early/late air collector thing.